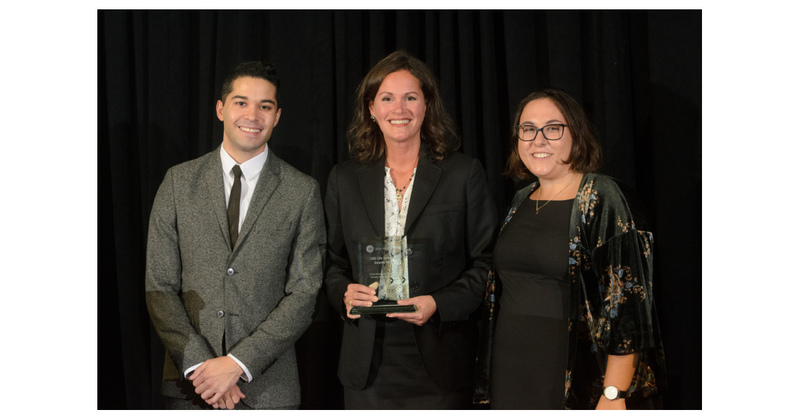 CHICAGO–(BUSINESS WIRE)–Marshall, Gerstein & Borun LLP is pleased to announce that it took top honors in three categories at the sixth annual LMG Life Sciences Awards, which recognize the best life science practitioners and firms over the past 12 months from the United States, Canada, and Europe. Pamela Cox is the chair of Marshall Gerstein’s IP Transactions practice. She is recognized as one of the country’s leading licensing authorities, particularly in the life sciences. Committed to advancing the profession, Cox is chair and president of the Board of Governors for the Certified Licensing Professionals, a board member of the Licensing Executive Society International, and an adjunct law professor at Northwestern University Law School. John Labbé is an accomplished trial lawyer and patent attorney with a focus on representing clients in intellectual property cases involving biotechnology, pharmaceuticals, and biologics. He served as first-chair trial counsel in Amgen v. Hospira, securing a $70 million verdict for client Amgen in the first patent-infringement jury trial about a biosimilar under the Biologics Price Competition and Innovation Act. The LMG Life Sciences awards are based on case evidence and feedback from clients and peers and selected by the editors of Euromoney’s LMG Life Sciences guide, which is aimed at providing attorneys and law firms with information on the legal market and the U.S. life sciences industry. Research for the guide was based on nearly 1,000 interviews and surveys completed by law firm partners active in the market. Marshall, Gerstein & Borun LLP is exclusively focused on intellectual property law. The firm provides sophisticated intellectual property advice and legal services to many of the world’s largest, most innovative businesses, research institutions, universities, and entrepreneurs. Chambers & Partners has ranked Marshall Gerstein as “first-rate for litigation,” and “one of the best biotechnology practices in the entire country.” Corporate Counsel magazine lists the Firm as a “Go-To Law Firm of the Top 500 Companies” for intellectual property and litigation. The firm is also ranked as a top intellectual property law firm by Managing IP, Fortune, Intellectual Property Today, and Intellectual Asset Management magazines. Learn more at https://www.marshallip.com/ and https://www.ptabwatch.com/.